A Sea Spell cross stitch pattern... 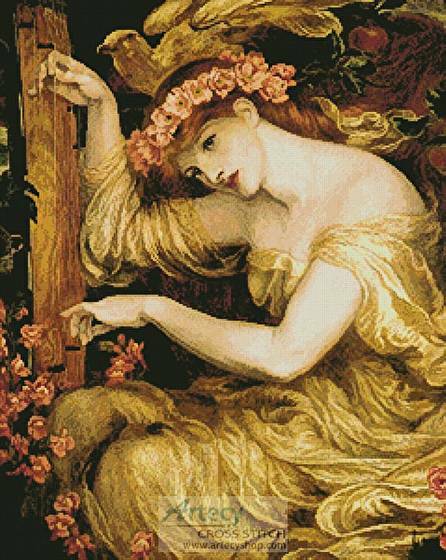 This counted cross stitch pattern was created from a painting by Dante Gabriel Rossetti. Only full cross stitches are used in this pattern.